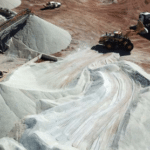 Altura Mining has officially opened its Altura lithium project in Pilgangoora, Western Australia, 18 months after construction started. The opening marks a further milestone for the company. 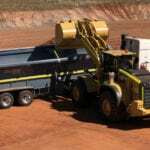 Altura recently celebrated its first lithium concentrate production and first product haulage to Port Hedland for export. 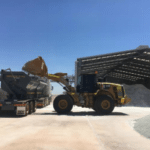 Altura managing director James Brown said, “Our operations team have been able to deliver encouraging results from the mine and processing plant to allow us to commence trucking our spodumene product to Port Hedland during August. 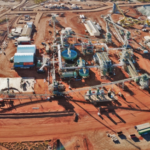 Altura is considering plans to duplicate its processing plant to double the production to 440,000 tonnes per year (t/y) at 6 per cent lithium concentrate, to tap into the global demand for electric vehicle and static storage lithium batteries. Over the past 18 months, Altura has employed around 1000 personnel. “With the continued support of our shareholders, we are in a strong position to benefit from the robust lithium market fundamentals that we see globally,” Brown said. The project is located around 123km from the town of Port Hedland.